Craig Tansley is a freelance travel writer based in Melbourne, Australia. After gaining a journalism degree from the Queensland University Of Technology (QUT), Craig wrote for sports and music magazines before becoming a travel journalist in 2000. 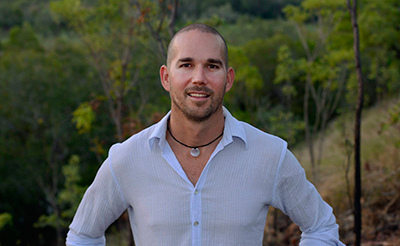 He now writes for many of Australia’s most prestigious newspapers and magazines – writing regularly for everyone from the Australian Financial Review to the Sydney Morning Herald and International Traveller. He’s also written for the likes of Britain’s Sunday Times. Craig grew up in the Cook Islands and travels throughout Polynesia and the South Pacific each year. He’s travelled to over 60 countries to research travel stories, including sailing a yacht to Bora Bora in French Polynesia for the Australian Financial Review, hiking the trails of Patagonia for International Traveller, climbing Mt Kinabalu in Borneo for the Sydney Morning Herald and The Age and riding a Sulawesi schooner to see Komodo dragons in Indonesia for London’s Sunday Times. As a music journalist prior to being a travel writer, Craig had the opportunity to interview some of the world’s most iconic stars, including Mick Jagger, Dave Grohl, Lenny Kravitz, Gene Simmons and Heath Ledger. He’s also been a monthly columnist for men’s and women’s magazines.